THE most authentic Loft Building you will find! This HUGE 2BR/2 1/2 BA Loft has character beyond measure including Rough-hewn Beams and Posts, Hardwood Floors, Brick Walls, & An Original/Vintage Loft Door. Awesome Light-filled, HUGE open space with Soaring Ceilings and completely renovated to magazine quality, this home does NOT disappoint. It has TWO appointed parking spaces in the GATED lot. The Building has an amazing rooftop deck perfect for entertaining with 360 degree Skyline views OR enjoy a more private setting on your large, PRIVATE Patio. Directions: Southbound On 75/85 Connector To Exit 249d (Williams Street) To First Right Onto Ivan Allen, Pass The Aquarium And Right Onto Marietta Street. 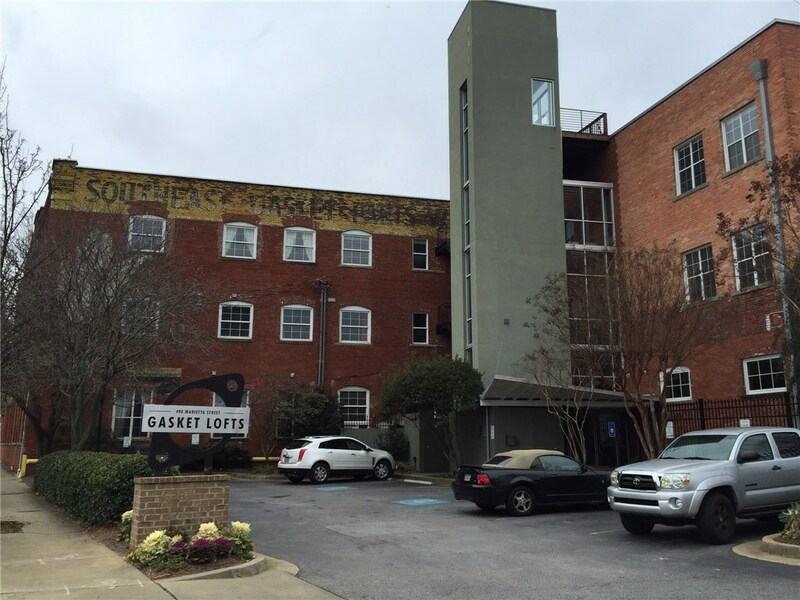 Gasket Lofts Are On Your Left. Park In The Front Lot.